Mother's Day is coming soon! 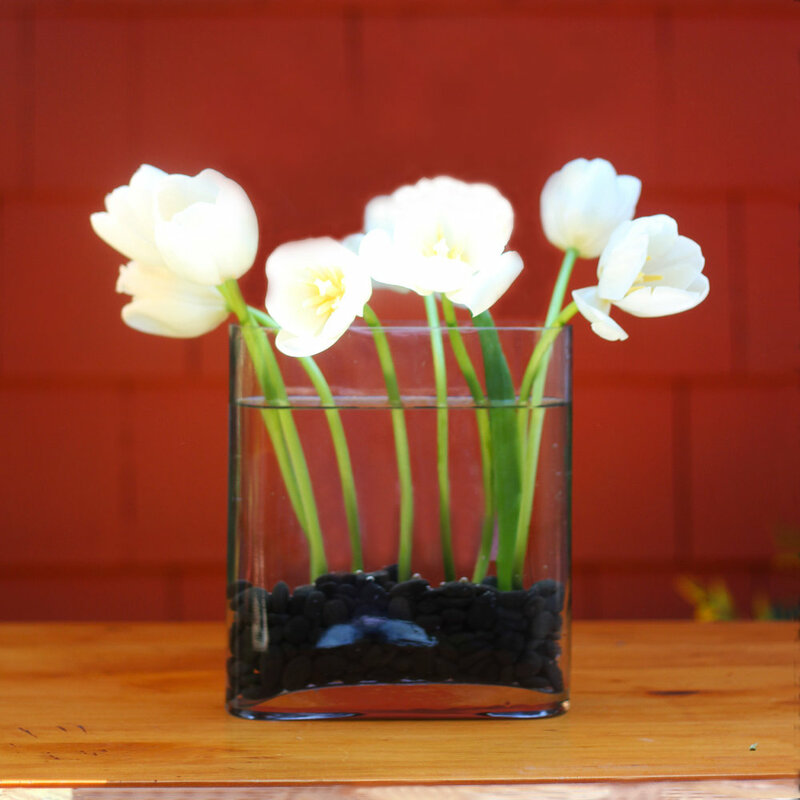 Make Mom the perfect arrangement in this gorgeous contemporary vase yourself. A special thank you to Annette for lending it to me. 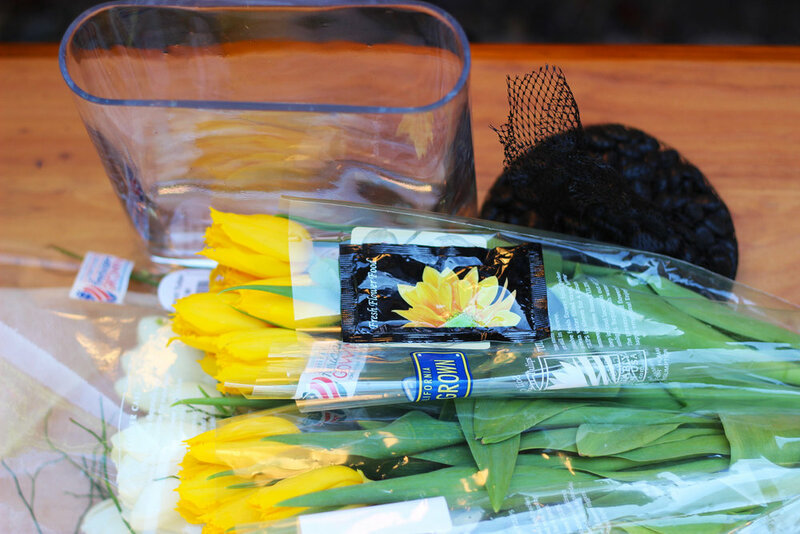 The white French tulips with yellow stamens and the yellow Parrot tulips with their fringed petals just say 'spring'. They are anchored in place with small black rocks and provide a dramatic contrast to the bright green stems. You will cut them to 10.5 inches becasue they will continue to grow about an inch a day. Now you might say, but where could I ever find a vase like that? Well...you can buy a vase like this (click here). This comes in a pack of 2. Give one to your mother in law. She will love you. 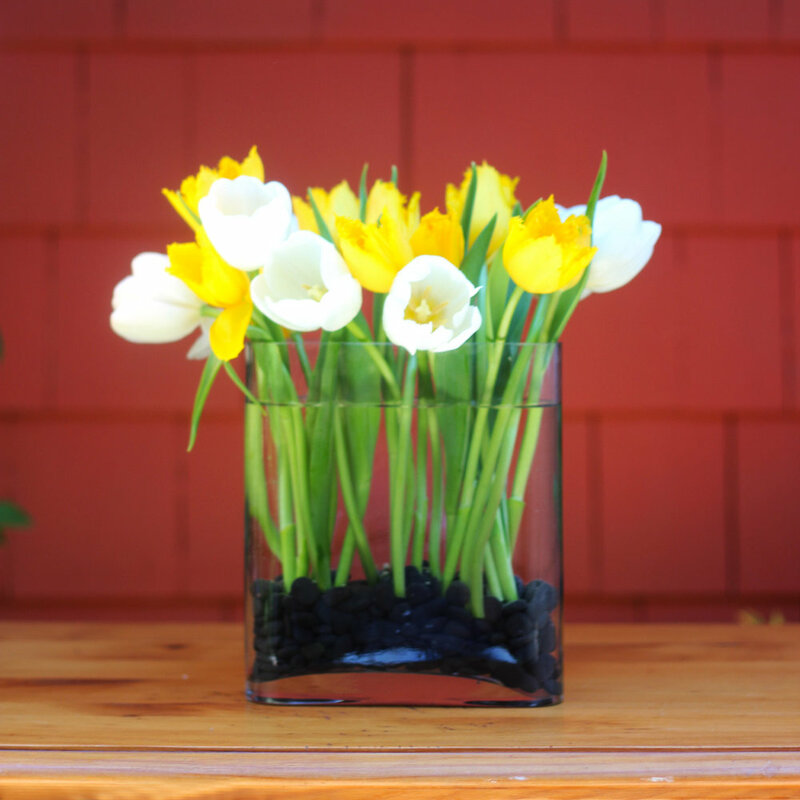 This vase has a narrow depth so it allows you to use less flowers (24 stems) and still look full. It saves you money every time. So, if you have your tulips, rocks, and the vase you are ready to begin. Carefully place one half a bag of small black rocks in the bottom of the vase. Fill it with water up to 2 inches below the rim. Place each white tulip...front, back, sides. Push into the stones with stem straight. 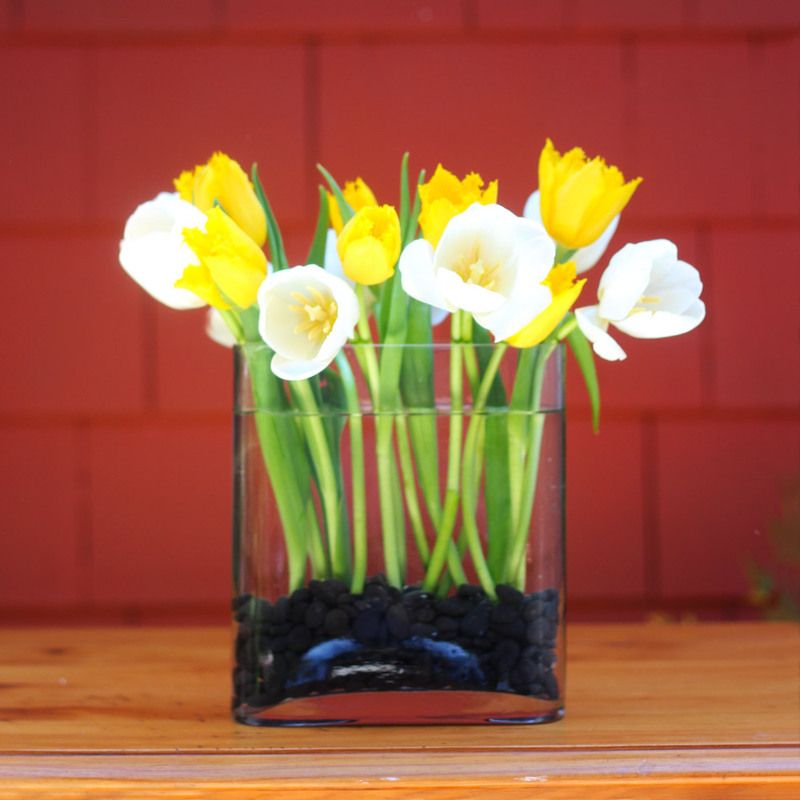 Place half of yellow tulips in front and sides, one by one. Push into stones. Place yellow tulips in back, one by one. Push into stones. You are almost done. There is one more finishing touch. Tie ribbon around middle of vase. Pull tight. Knot twice. Fold ribbon in half. Cut 45 degree angle with SHARP scissors. Look at the fringe on the Parrot tulips. The yellow stamens look really cool. Twist the bow on a 45 and you are done. Mom will enjoy!